Social Media Optimization is the process of using social media to attract visitors to your website’s content. It is another method in generating popularity of a website, the oldest and one of the best website optimization is Search Engine Optimization (SEO). The concept of Social Media Optimization is to attract a specific and unique view to a website. 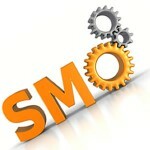 There are two kinds of SMO, Social media implementation and social media promotion. 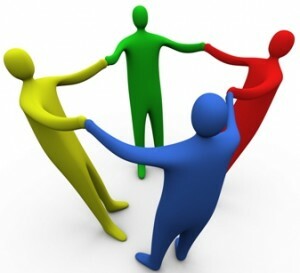 Social media implementation is the way in which social media is directly implemented on the content. Examples of these methods are the Share button, voting/polling tools, or adding music and video to a website. Social media promotion is how you will let users go interactive on your site which includes letting people comment on your posts, forum discussion, status updates, and social networking sites. Social Media Optimization is different from Social Media marketing in which SME aims to draw traffic from search engines while SMO, like viral marketing is getting traffic through content sharing, social bookmarking, and media sharing. Social Media Optimization, like SEO, has some rules to be followed or else your website will be banned for using SMO abusively. The goal of SMO is to let the visitors be interested in your content so your website can be spread uniquely across the internet. Content must be unique, not an article somewhere in the internet nor a rephrase of the original content. It must be in your own words, and in your own opinion to make it more appealing. A call to action, a way to transcend this content into social media platforms are another way to get a content easier to share. Put a button, plugin, or widget that is easy to recognize or understand. It is a better method to understand the bookmarking concepts of such website or blog. The iconic plugins also make encouraging for people to share a content or website. Ensure that these icons are placed strategically in a blog or website. The Facebook like button, the Google +1 button, are just some of the ways to encourage the author’s work to be rewarded. It is also a promotional implementation where a user expects a long-term engagement with the author through communication. Sharing content proactively other than your personal network is a way to promote your website but going beyond that will help you reach a wider audience. Mashups is a way to let a visitor use your content, add some modifications in it, and then create another content from your original idea. Social media optimization may one day replace the expensive, tiring and tedious process of SEO. Once your website goes viral through SMO, expect to see massive flux of visitors, or an endless stream of income depending on what your website is about. But, like SEO, SMO takes time, and by being patient in doing the same task every day, you can reap the reward you are expecting.